We have introduced a new printed Union Jack Jute Bag with blue side panels and handles. 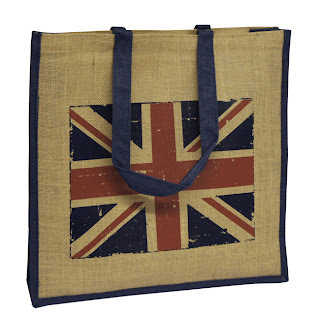 The bag size is 41x12x40cm and is printed 1 side with a grunge Union Jack design. Bespoke Printed Jute Bags available from just 25 bags.